February turned out to have good activity for Single Family Dwellings. Sixteen homes sold with a total of twenty-three year-to-date. One of the luxury priced listings sold between the $2,500,000. - $2,999,9999. range and on the other side of the scale a sale showed between $550,000. - $599,999. See below for all the Oak Bay home sales by price range for the month of February. 'YTD' means Year-To-Date. Not many townhomes available in the Oak Bay area so it is no surprise that the number of sales are low. 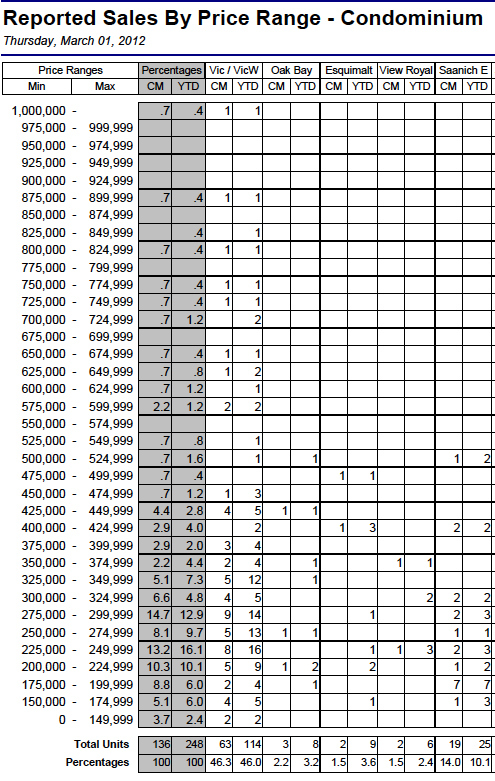 Year-to-date showing 2 sales so far for 2012. Below shows you the real estate stats by price range for 'townhomes'. February showed three sales with a total of eight year-to-date. The newest building in Oak Bay that is on it's final leg of completion is the famous Oak Bay Beach Resort. What a treat it will be to offer ocean front luxury to locals and visitors. A day at the new spa, fine dining, experience a dinner show, the friendly Snug Pub, Kate's Cafe and more. 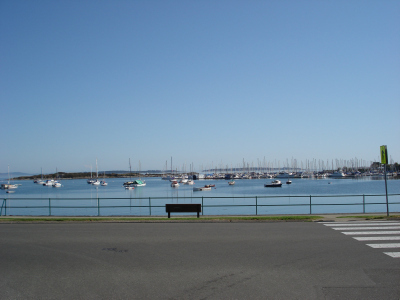 Situated in South Oak Bay across from the Victoria Golf Coarse and walking distance to the Oak Bay Marina. Sounds perfect. Also offering 'Private Residences'. If you are Selling or Purchasing Real Estate in Victoria and would like some help I've been licensed since 1990 and would be happy to help please call me direct at 250.744.4556 or Toll free at 1.800.550.0585. I hope this Oak Bay update was helpful for more information read the Victoria Market Update page and please stay tuned for more updates. Thank you and wishing you a happy spring!